Go to the Google Analytics Website and on the right side of the page, click the dropdown and select ‘Analytics’ and sign in. Now, complete the following fields and click ‘Get Tracking ID’. We are half way there! Now go back to your WordPress dashboard and install the plugin Google Analytics Dashboard for WP. We are getting close! On the next screen, under the Select View dropdown, select the website you wish to track (i.e. the one you setup in Step 1). Click Save Changes. Go to your WordPress dashboard. 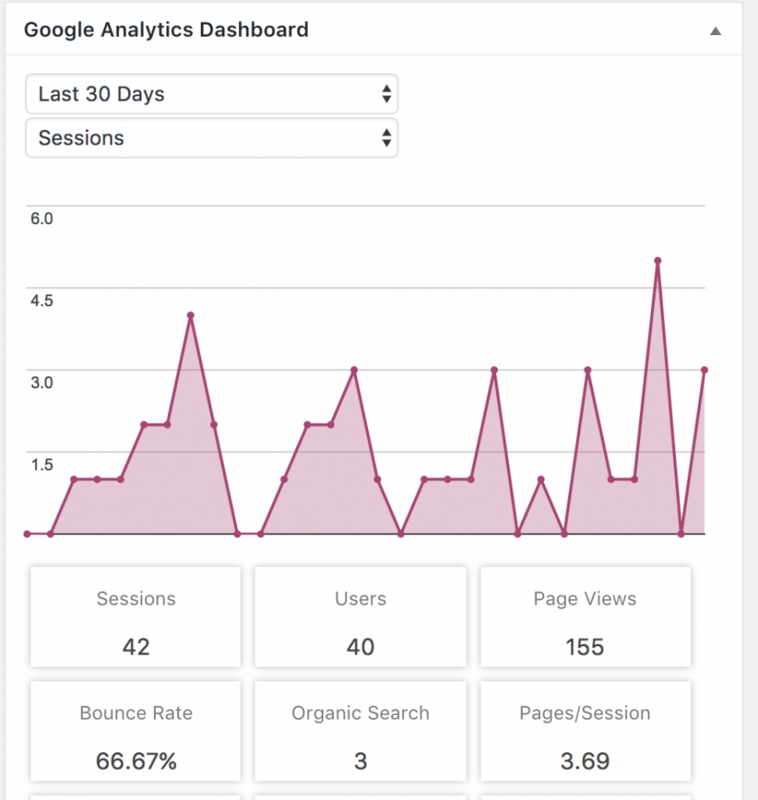 You can now view Google Analytics data right on your dashboard! The plugin also injects your tracking code into each page so you don’t need to do this yourself. If you have any questions or need help, don’t hesitate to comment below.